A proposed statewide ban on plastic shopping bags in Connecticut was killed in the State Senate on 29th May 2015. A ban had been the chief priority of the legislative Environment Committee and would have expanded the existing five-year-old ban in Westport to the other 168 towns and cities. The failure of this Bill follows recent rejection of plastic bag bans in Arizona, Texas, New York, and even a town in California. 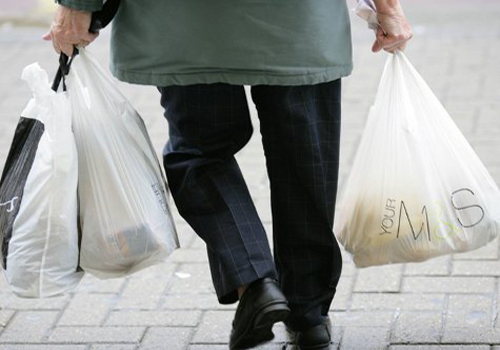 The CEO of a UK public company, Michael Laurier, has commented on this trend – “Plastic bag bans and taxes are popular with politicians who want to be seen to be “doing something for the environment” but they are unnecessary and counter-productive. “Plastic bags are extremely useful, not only for shopping but for a multitude of other domestic uses, and should not be banned or taxed without very good reasons, which do not exist (See “Plastic Bag Bans & Taxes” at www.biodeg.org). “Plastic is attacked on the basis that it can lie or float around for decades if it gets into the open environment, but this will not happen if the bags are made from the new “Controlled-life” plastic, which will harmlessly degrade then biodegrade in the open environment much more quickly than old-fashioned plastic” says Laurier. Controlled-life plastic bags can be made by existing factories, and cost little or no more than old-fashioned plastic. If collected during their useful life they can be recycled with other plastic waste. Symphony points out that ten countries in Africa, Asia and the Middle East have passed laws requiring plastic bags and packaging to be made with controlled-life technology. Laurier believes that all the US states should do the same.